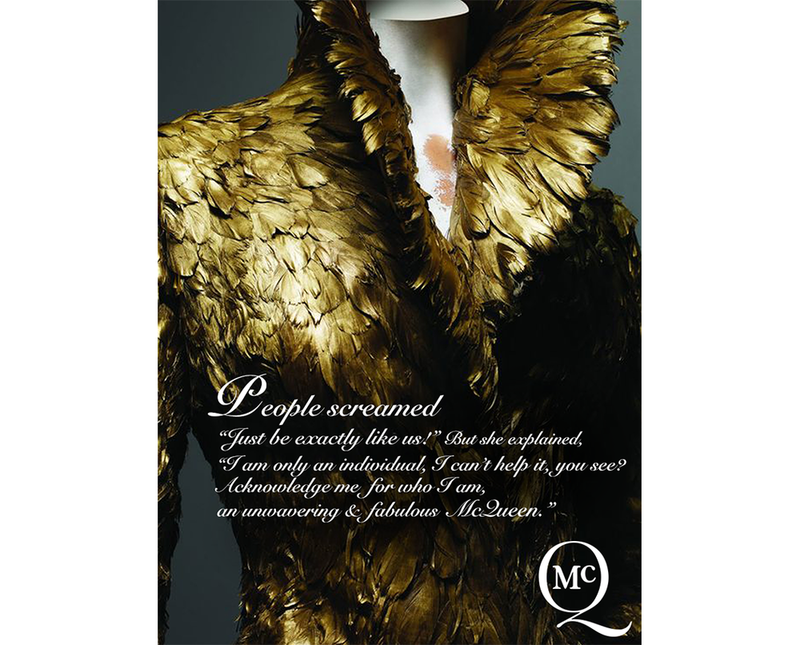 Role: Art Direction, Design, Concept, Copy | Purpose: To create a campaign for Alexander McQueen then explore designing a few executions for fun. I feel like there are two types of McQueen women. The Light Fall/Winter Fairy. And the Dark Mysterious Dreamscape Pixie. Both are fantastical and powerful in their own way. So I wanted to create a set of empowered women fairytales that highlight the clothing style differences, what makes each style so strong and demonstrate why every woman who wears them deserves to be treated like Queens. I imagine that these could appear in succession either within a magazine or within digital carousel of some sort.